Lucky Taste Buds! 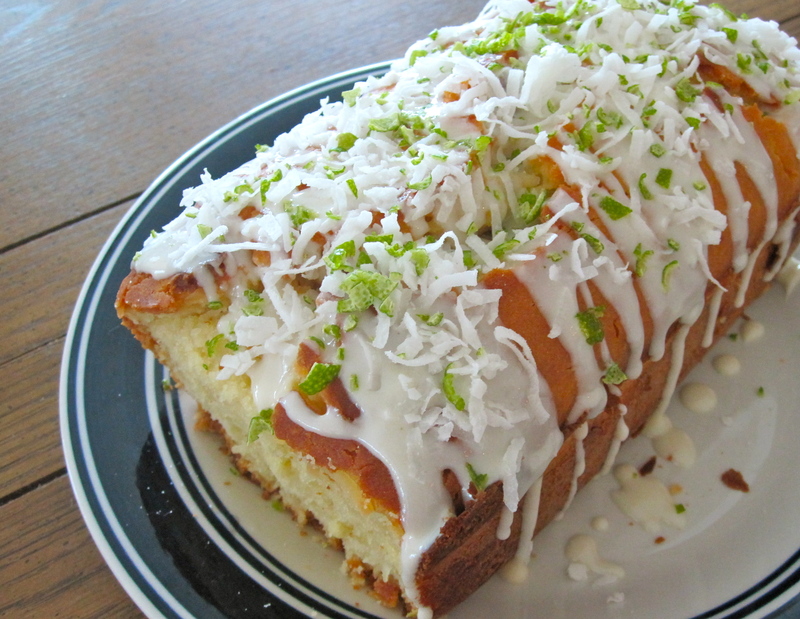 | Adventures of a Foodie…and Dentist-Baker-to-be! For all graduating 4th year dental school students, February is a CRAZY month as this is the month we are searching in every nook and cranny for patients for our dental LICENSURE EXAM!!! What it means for you? If you have the cavities or gum condition that qualify for the exam, not only do you get the filling / cleaning for FREE, you also get $100 in compensation! It is an INCREDIBLE deal. Our screening is really simple, easy and painless. I would bring you in to the Tufts dental clinic on 1 Kneeland St, Boston, MA 02111 and we’ll take a few x-rays to see if you have cavities that qualify for the free fillings / cleaning. This is all free of charge to you and takes ~15 minutes. If you DO have qualifying cavities, I’ll need to borrow you for a few hours on March 8 or 9th, 2014 (one of those days, but probably sunday the 9th) for the actual exam. Exam location is still: Tufts University School of Dental Medicine at 1 Kneeland St, Boston MA 02111 (same as the screening). Tufts Dental School is one of the top dental schools in the nation. You’ll be in good hands! Please e-mail: lucky taste buds AT gmail.com if you are SERIOUSLY interested. I can never turn down a good bread basket at a nice restaurant, in fact, I’ve been known to pick date night places based on the looks of their bread baskets. However, restaurant bread obsession aside, my biggest issue with regular ol’ whole grain bread is that it never fills me up. And…I can end up eating 4 slices (think: French toast) and still be hungry! Never mind that it’s whole grain. I first discovered Ezekiel bread at Trader Joe’s back in college. FLOUR-FREE bread was a concept that was…rather intriguing. Honestly, I was curious about the hype and was doubtful the taste and texture of a bread made with no flour would be any good. My first loaf bought was cinnamon raisin. After that day, Ezekiel became a staple. 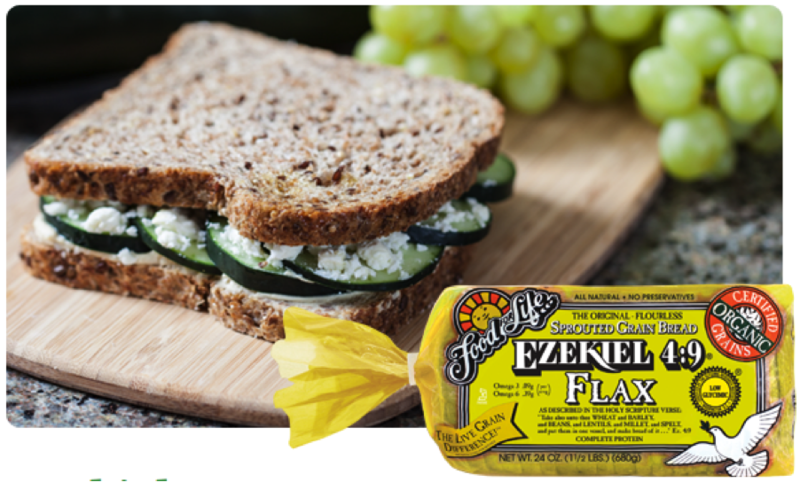 A little background on Ezekiel bread made by Food For Life. If it’s not made from flour…what is it made from then? Made from freshly sprouted certified organic live grains. Use absolutely NO flour. Studies have shown that grinding grains into flour increases the surface area upon which enzymes in the body can work to more, quickly convert starch into glucose. No refined sugars. When sugar is refined and processed there are many harmful ingredients that are added to the sugar as a result. Instead, they use malted barley, a natural sweetener produced from sprouted barley, which is basically a carbohydrate comprised mostly of complex carbohydrates rather than the “sugar” carbohydrates. Nothing artificial – no preservatives or shortenings. 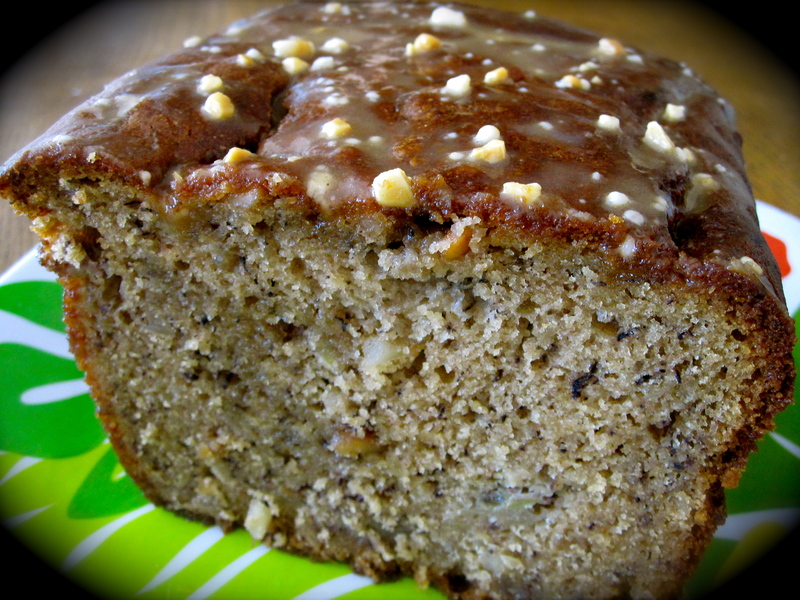 Use a unique slow-bake process to preserve the natural fiber and bran benefits of grains. For more information about the company, feel free to visit their website. When Danielle contacted me to try the newest flax sprouted bread from Food for Life, I jumped at the chance to try it out! When the 2 loaves came, I froze them right away (bread doesn’t do well on our counter tops too well!). Check out the awesome nutritional profile. Taste and Texture: Mind you, I’m a lover of all things grainy, coarse, crunchy, sometimes even a little dry. 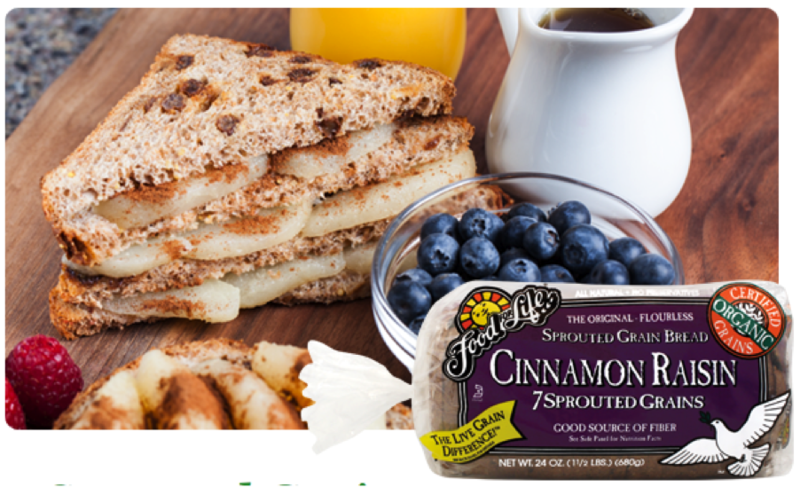 When toasted up, Ezekiel bread is definitely a…”dry bread”. Keep it at room temperature and it’ll be softer, more like your regular bread. The flavor is very much a mild, wheaty flavor. 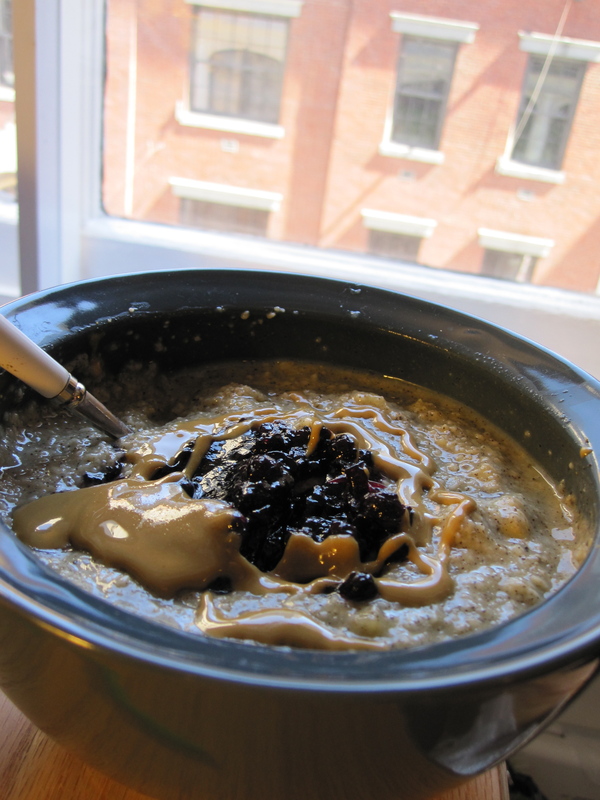 No sweetness but lots of seedy goodness from the sesame, flax, and barley. However, I LOVE the grains incorporated into these breads. 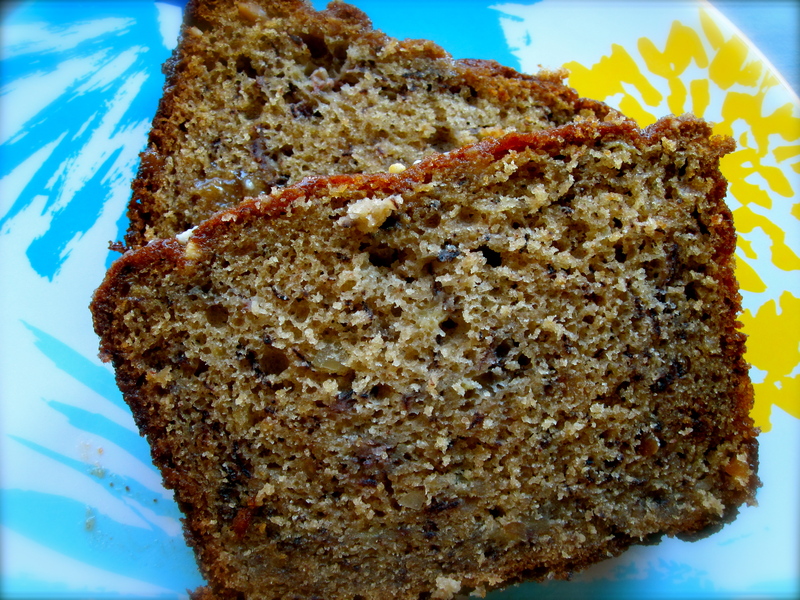 Every bite feels substantial and the seeds really do add to the flavor and texture to the sandwich. This is the perfect sandwich bread with smoked salmon, deli turkey or chipotle hummus in between. Price: Trader Joes here in Boston sells the bread for $3.69 a loaf. The regular grocery store sell it for at least $1 more. I do know the TJ’s offers a TJ brand of Ezekiel made with sprouted grains, which is a little more forgiving on the wallet, but have not personally tried it yet. Bottom Line:I only have Ezekiel bread in my apartment as it is the most filling, healthy kind of bread that I find delicious. High in fiber, protein and flavor, Ezekiel satisfies my bread needs. However, it may not be for everyone. For more fluffy, pillowy sandwich breads, Ezekiel is probably not the best bet for you. *Disclaimer* This is a personal blog and I do not receive monetary compensation for any of my product reviews. All reviews represent the opinion of Lucky taste buds based on personal use and results. Ezekiel flax bread was provided for free for my review on LTB, but my opinion of the product is and will not be different based on whether or not it was provided free of charge. What does a girl do to celebrate being done with her second year of dental school?? Why, BAKE of course! As I sit here contemplating what I’ve suffered through achieved this year, I can’t help but feel relief, satisfaction, excitement, and most of all…pride, that I made it this far. I know it sounds cliche, but dental school is packed with challenges that I never knew existed. All I know is…I’m glad 2nd year is over. Never again!!! National Boards were…horrendous. 3 weeks off to study for an 8 hour exam was bliss though. 😉 Not to mention I will never have to see biochemistry again. EVER! Lab work is tedious. 10 hours to mount fake teeth for a set of dentures. 8 hours to bend wires for an ortho retainers. 6 hours to do one root canal…. Starting clinic and seeing patients is absolutely AMAZING. This is exactly why I quit my job in finance. Helping people with real problems and getting the chance to take away pain, to improve how someone eats, smiles, talks…it’s a wonderful feeling. Having a complete stranger put their faith and trust in you to take care of them is such a rewarding feeling. 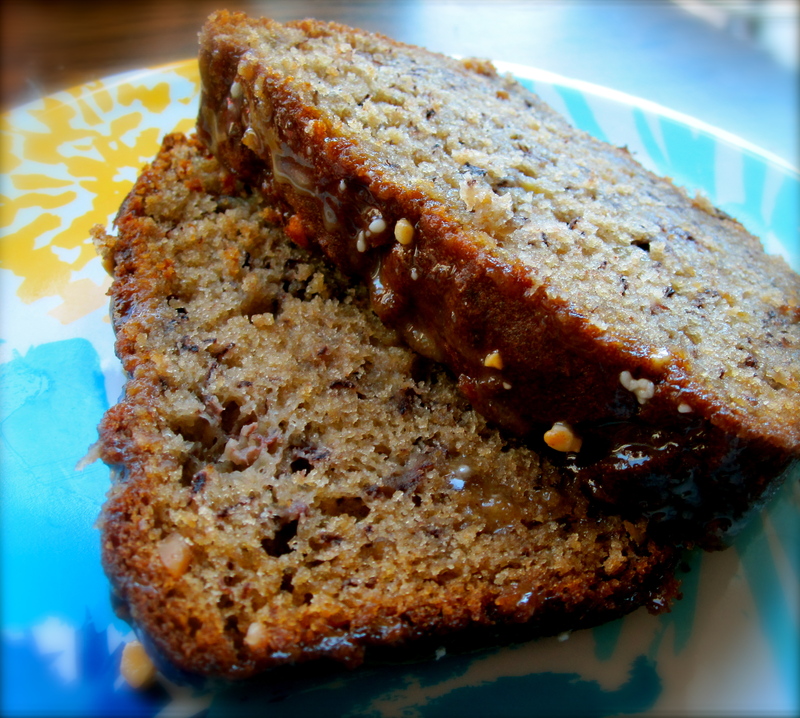 A dense, moist, sweet, yet light peanut buttery bread with a base of bananas, studded with crunchy peanut bits and glazed with a bright nutty peanut butter glaze. Preheat over to 350F. Grease a 9×5 inch loaf pan. In large bowl, cream together butter and sugar. Beat in eggs 1 at a time. 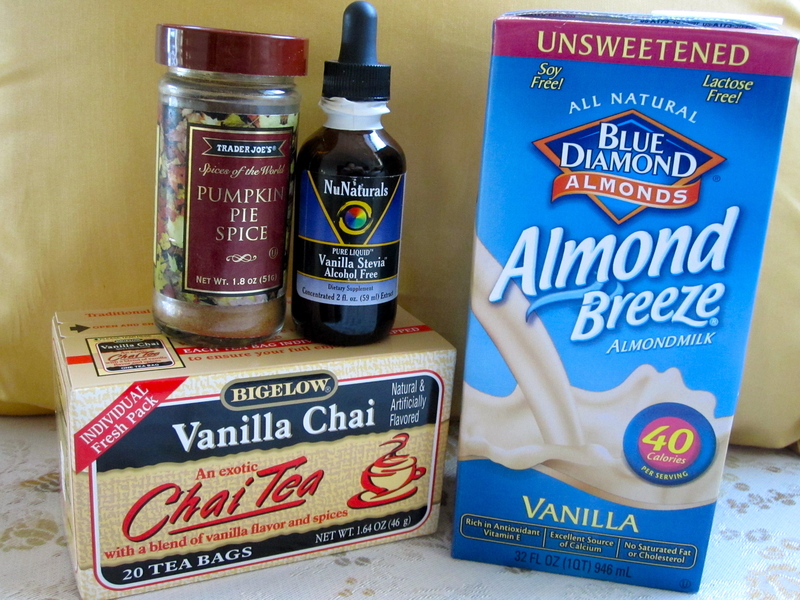 Add vanilla and peanut butter. Mix well. Combine flour, baking soda, baking powder and salt mixture in medium bowl. Stir into butter-sugar mixture. Finally, fold in sour cream, peanuts and banana. DON’T OVER MIX! Bake in over for 60 minutes or until toothpick inserted into center of loaf comes out clean. Cool loaf in pan for 10 minutes before moving to wire rack to cool completely. After bread has completely cooled, make chunky PB glaze in a small bowl by combing all ingredients in a small bowl, mixing well. Drizzle over bread. Part 1 of the National Dental Boards are over!!! 1/2 the way to being a dentist calls for a mini celebration…which comes in the form of summer, starting clinic, and FINALLY time for baking (and blogging)!! 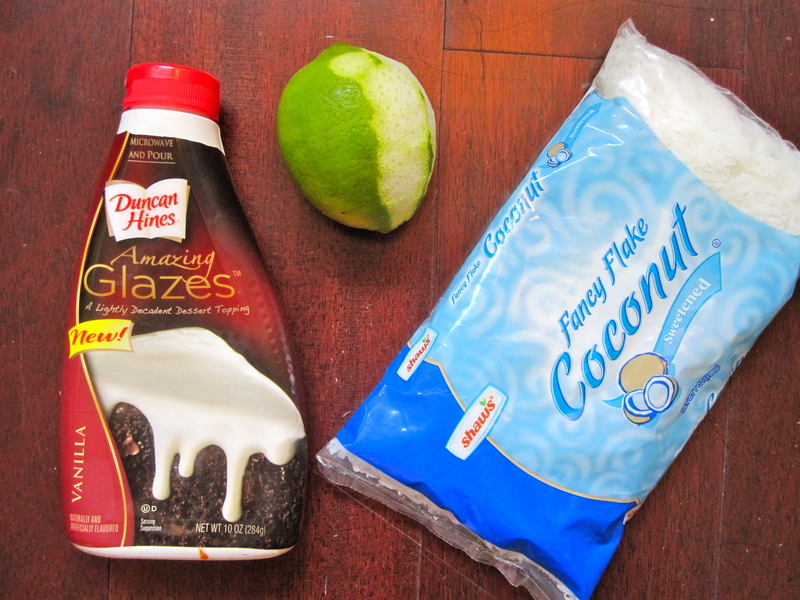 There’s something so perfect about combining Coconut and Lime together. 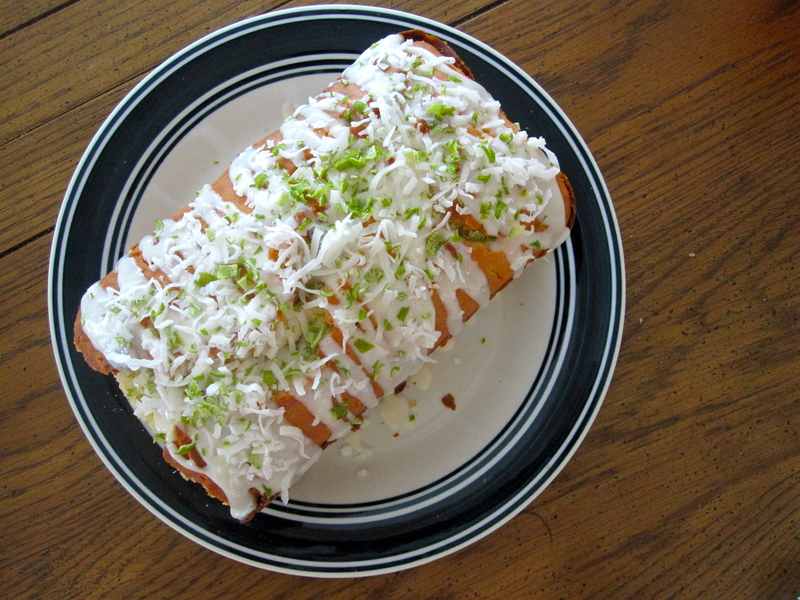 The bright beautiful colors and tropical flavors make this the perfect summer party cake. 3. 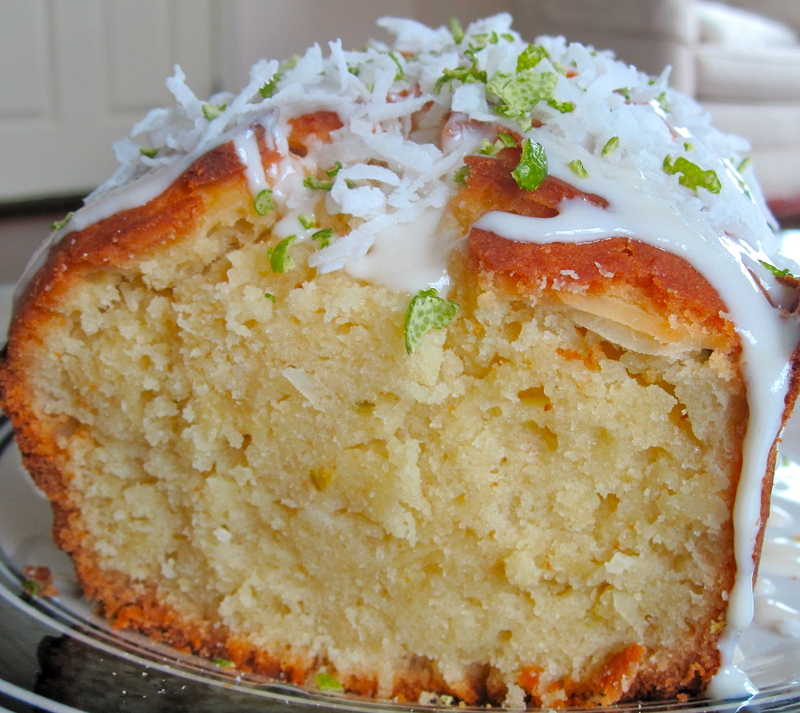 Cream butter and sugar together, then add in remaining wet ingredients in order up to lime juice. mix well. 5. Pop into a pre-greased loaf tin and bake in over for 50 minutes or til a toothpick comes out clean from the deepest part of the loaf. As a Foodbuzz Tastemaker, I was fortunate enough to receive a Tervis Tumbler to review just in time for exam block season a week ago! This guy has proved himself to be EXTREMELY handy for studying/working at a desk with not a lot of space. Not only could I alternate hot and cold drinks in the same container, I absolutely LOVED that there were no condensation rings left on my table and study notes! Even better, you can pick up the cup with your bare hands despite having a piping hot beverage inside. You’ve probably seen these around already and think you know all about them, but here’s a little more somethin’ somethin’ extra. Virtually indestructible – meaning, they won’t crack, melt, shatter or chip!!! Have double-wall insulation so Hot drinks stay HOT and Cold drinks stay COLD! Pretty self-explanatory recipe yah? 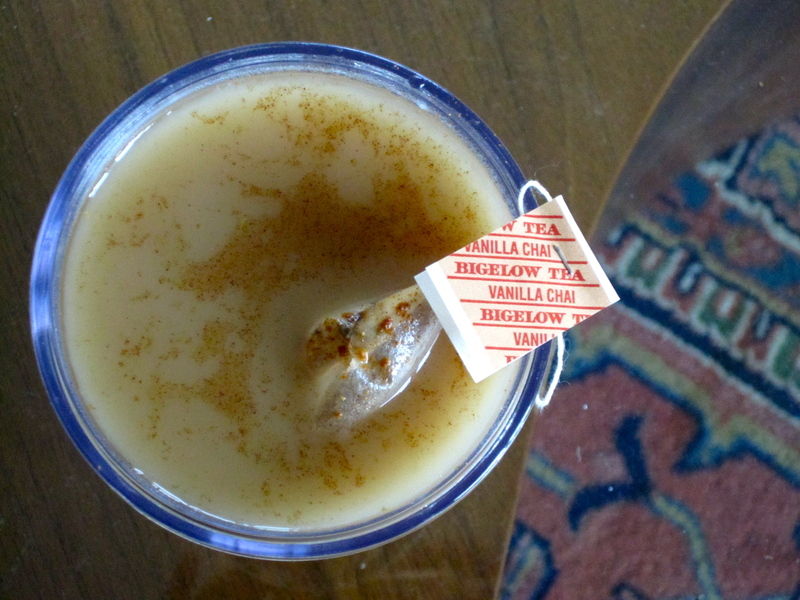 Brew tea, dump in milk and stevia. Sprinkle spices. TA-DA!!! For more information on Tervis Tumblers, check out their website. 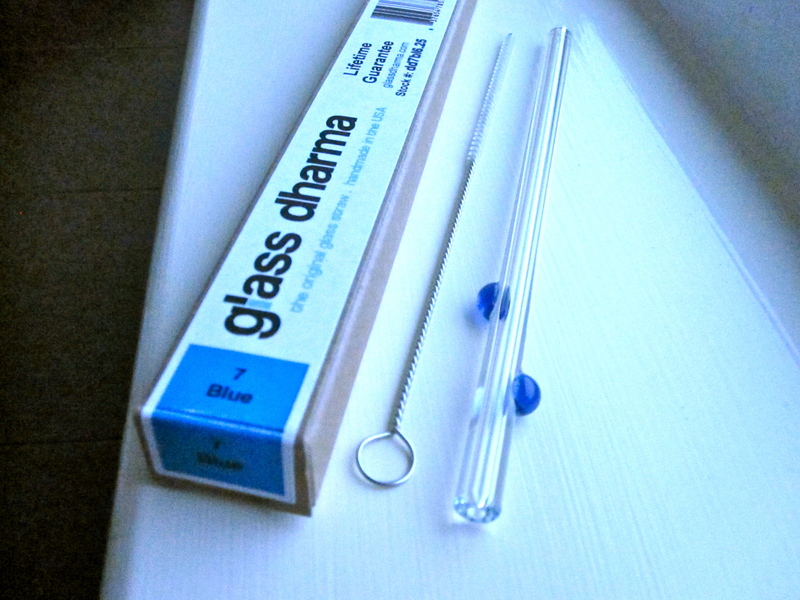 Call me late to the party if you wish, but I’ve recently discovered GlassDharma straws after my MD diagnosed me with GERD and ordered smoothies to the diet plan. Growing up, my dentist has always told me to consume sweet drinks (or even diet soda) through a straw to avoid cavities. After some research on my own, I came up with some tips to share. Some straw 101 if you want to call it that! (Source) Just remember that I’m no professional yet, but I do care a lot about cavities and I do my research! Positioning of the straw – when you use a straw, make sure to aim the opening to the back of your mouth so the sweet/acidic liquids contact as little “teeth” as possible! This will prevent staining AND cavities! The type of straw you use matters! Between Plastic, metal, and glass, guess which one creates the least waste? If you said metal and glass, you’d be correct. Now between these two, which one has the potential to cause LEAST teeth sensitivity from a hot/cold beverage? GLASS!!! 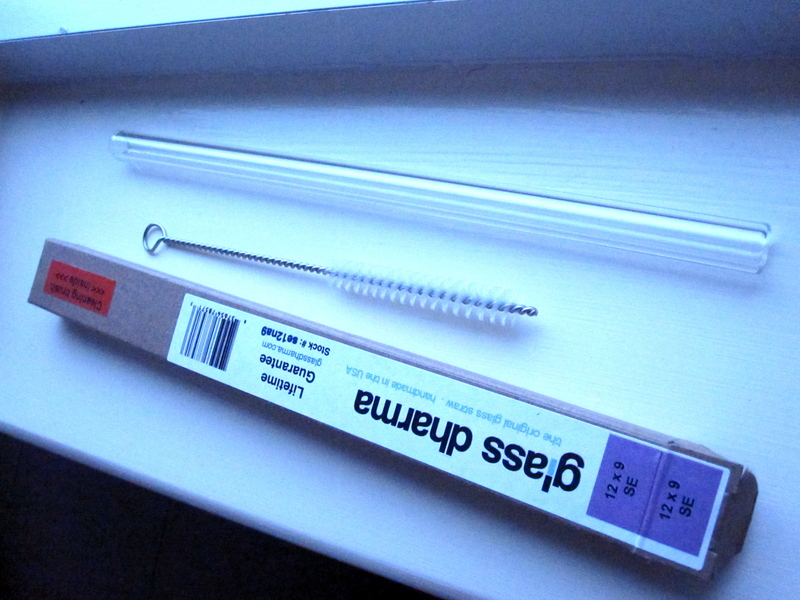 When I realized I would be drinking through a straw at least once a day, the shopoholic in me decided I needed to do some shopping/research to find the best straws out there. 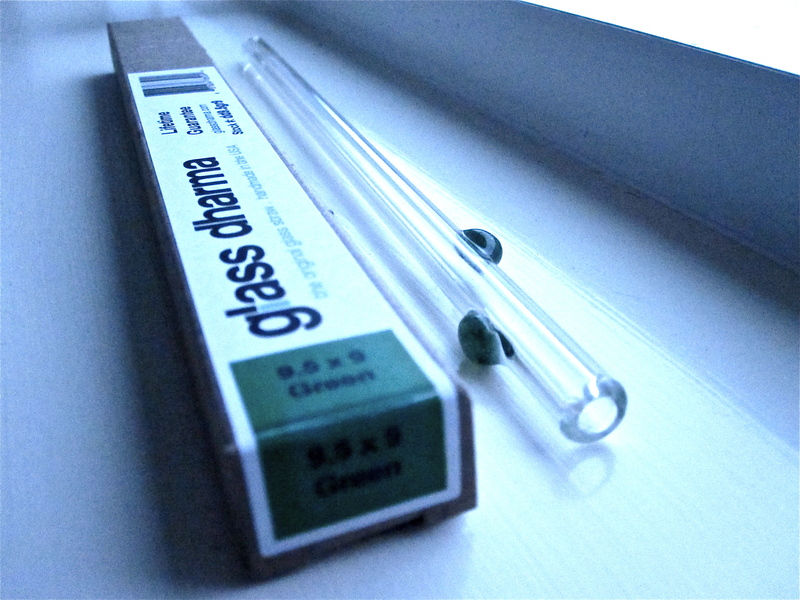 I stumbled upon DharmaStraws on several blogs and read a ton of raving reviews on Amazon about them. I concluded that I needed to test out these straws! Enter DharmaStraws. A family business owned by a glassblower, David, and his wife who live in California. 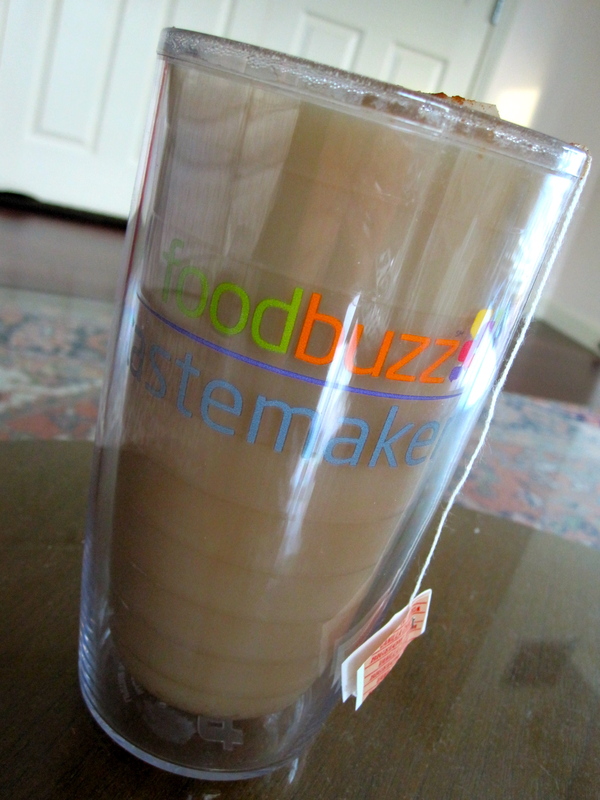 Made of glass which does not leach ANY TOXINS into your food so you can use your non-toxic straws with confidence. Great for hot or cold drinks, microwave and dishwasher safe! Upon receiving the straws, I took ’em out for a test drive. The green 9.5mm with a little bend near the end is PERFECT for water. Ice cold, warm, and even hot (though I don’t dare drink hot water through glass). *FACT* You drink more when you drink through a straw. You can fact check me on that, but I really did drink more water. And feel like a lady while doing so too! This is your perfect entertaining straw. Sipping pink lemonade through this will surely upgrade any party and I’m sure guests will be fighting over it. 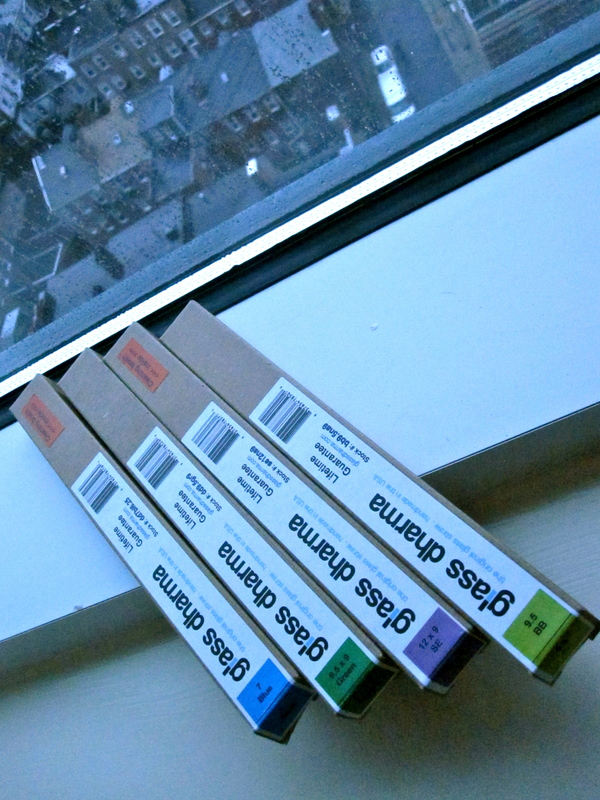 It’s also beautiful to look at and sits out on the kitchen counter like it was meant to be there. The blue 7mm was a stunner the moment I opened it. This, is probably my favorite. Yes, it’s true the water comes through there a little slower than the 9mm straws, but just looking at it brightens up my day! 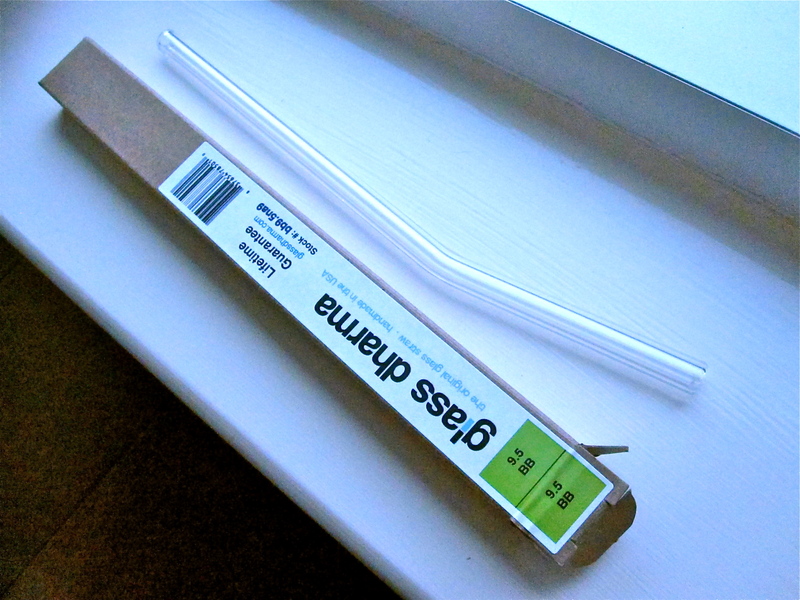 The straw can be purchased with a little cleaner added to the straw box, cause you’ll probably need it at some point! You can kind of tell from the picture that this is a real delicate-looking (my kind of classy) straw. One lucky reader will receive a $25 gift certificate to GlassDharma to use on any product you desire! To win, simply leave a comment below about something you’ve learned from this post. For a bonus entry, tweet/link back directly to this post and leave a comment saying you did so! Giveaway ends on: October 22nd at 10pm EST. A random winner will be picked! Good Luck! There are a million things you eat that contribute to cavities. Doesn’t matter what you eat, no matter how healthy your diet is, there will be 2 things in it: sugars and acid. Your morning oats for example. The sugar in the jam and nut butter, the breakdown of starch from the oats into simple sugars. Probably don’t have to mention where the sugar from this comes from, right? The point is, sugars are an important staple in our diet. Don’t avoid it at all costs, but don’t gorge either! As well as creating “wax ups” of teeth. Check it out. 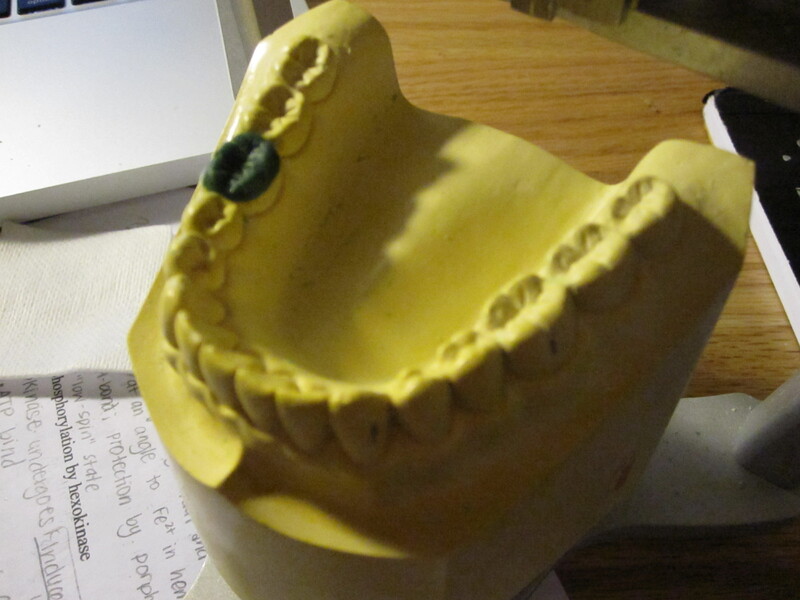 We melt green wax over a plaster model with a tooth sanded off. Then using hand tools, we sculp every single nook, ridge, and cranny back on the model. When we’re done, you have to check for TEN contact points in specific locations using the upper jaw to make sure the tooth is “functional” inside this jaw. You’re lookin’ at 50 hours right here. Tip #1: Eat your dessert RIGHT after your main meal. Don’t wait for 2 hours later before you dig in to the fruit or ice-cream. Why? 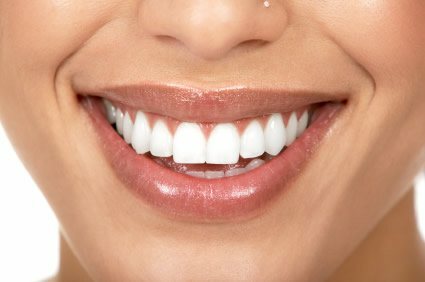 After a meal, your oral cavity will stimulate salivation to bring the pH up to a level where your teeth can re-mineralize (aka get stronger!). Constantly snacking keeps pH in your mouth low so that your teeth cannot remineralize and more prone to cavities. If you can’t avoid snacking, brush afterwards or chew some gum, which will help restore the pH in your mouth to more alkalinic levels. Tip #2: ALWAYS floss at night before you sleep. You can even skip the mouthwash as long as you floss. Why? I can’t tell you how easy it is for food to get stuck in those crevices overnight and for bacteria to get to work, nibbling away at your teeth as you sleep. Why? Unless the soda is completely real/fake sugar free, don’t drink it. Obviously, regular soda has sugar that stays on your teeth for as long as you sip it, BUT diet soda still has acids in it that wear down your enamel. Just google it. Straws MAY make it better. A tad. Tip #4: Limit hard candy & Candy that sticks to your teeth! Why? Suckers are a huuuuge cavity problem. The issue is not how MUCH sugar you eat, it is how LONG that stuff stays on your teeth. Health Tips, Just for Fun!